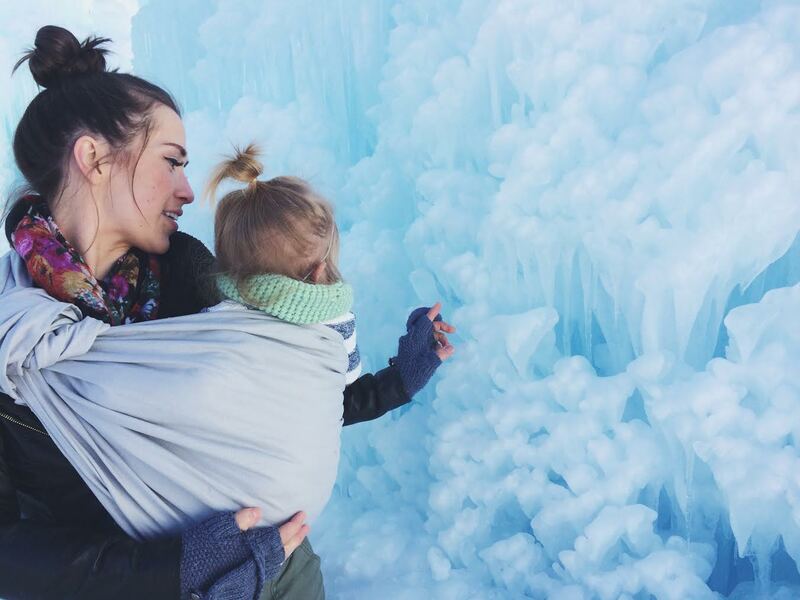 A few weeks ago, we were able to visit the Ice Castles of Midway at the Homestead Resort! I was super excited, as it was my first time visiting! I went straight to The Salt Project's past Ice Castle articles to see what I needed to bring. (We've pulled some of our past photos, as we went at night. It's a little difficult to capture the ice castles at night especially with kids! Every year the ice castles are different, but this year they are just as lovely. You can still find all the slides, some for the younger kids and some super fast ones for the adults! My kids loved exploring the tunnels and ice ways. I was surprised that the floor was all ice. I mean, I didn't really know what to expect, but it makes sense. It does make for harder going for littles, it reminded me of walking on coarse sand, so it made for tired little legs. Don't forget to pick up a Salt Project Beanie HERE. We've got a few different designs. I thought it was interesting to see all the different "Ice Workers." Some were there to help you get down the slide, others were working on the icicles, and some were there to shovel ice so you could land in something softer while sliding. The Ice Castles are pretty amazing. Be sure to check what nights Queen Elsa will be there! You'll want to get your tickets soon and go even sooner. With these warmer days, who knows how long the castles will last (safety-wise) so be sure to go soon! Check out our social feeds in the next couple days, because we'll be sharing a Midway Staycation Giveaway, that includes tickets to the Ice Castles!